This op-ed originally appeared in the Tallahassee Democrat (November 12, 2017). Recent debates on how to best address violent crime in Tallahassee have failed to focus on one very important question: Who are the people who are committing these crimes in our community? To answer this question, I turned to some data from the Tallahassee Police Department. Of 13 shooting incidents that took place this year from Jan. 8 to Oct. 13, there were 19 suspects involved, and almost all were young male residents living in Tallahassee/Leon. More importantly, of the suspects who were arrested, almost 65 percent of them all had a similar criminal history in lower level violent or drug offenses — things like misdemeanor battery, cocaine and marijuana possession, burglary and theft. In other words, these individuals had committed crimes before, and gradually involved themselves with more serious violent offenses over time. This story line of a small subset of criminal offenders is important, because it speaks to an ongoing reality that our community must come to terms with. Over the last 5 years, we have seen more than 2,600 individuals return from incarceration, with almost 1,000 coming this year alone. We know on average that two-thirds will be arrested for another crime within three years. These individuals will fall back into the criminal justice system because of a combination of issues related to housing, mental health, addiction and employment. We also know it costs almost $20,000 of taxpayer money per year to house an inmate in the Florida prison system, and that Leon County spends at least $38 million a year on their jail and corrections services. If we know the number of offenders returning to our community, the high likelihood they will commit new crimes, and the trend we’re seeing from the perpetrators of our own violent crime, why isn’t more support being given to help disrupt these cycles? These realities are factual, predictable and offer the best opportunity to address our greatest challenges. We have several local agencies that do tremendous work with re-entry and diversion issues, including Bethel Baptist’s Ready4Work program and the Living Harvest, which provide wrap-around support services to former offenders, including access to employment. Community Connections at the Palmer Monroe Teen Center has also shown to be effective at helping at-risk youth to change their life trajectory. These kinds of programs represent the smart and results-oriented way we need to think about our issues moving forward. Many community leaders have not recognized the tremendous results and research driving these kind of smart justice initiatives, and have not adequately assisted in ensuring the resources and partnerships are available to scale services in the way our city and county desperately need. 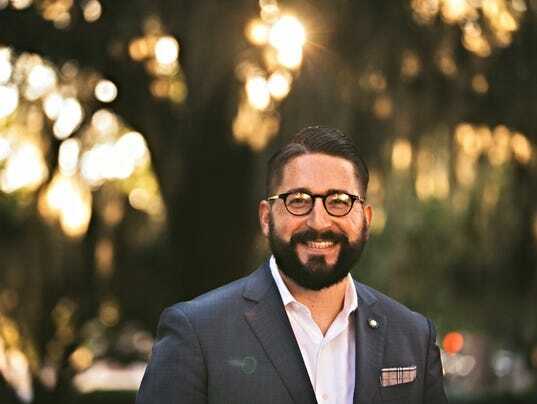 Dustin Daniels is chief of staff to the Office of the Mayor of Tallahassee. He also is a graduate of FSU College of Social Sciences and Public Policy as well as an adjunct professor for the College. The featured image of Tallahassee was taken by D.J.Z. and posted on the Geographically yours blogspot. Previous PostPrevious The Rise of the Alt-Right – Why Now?